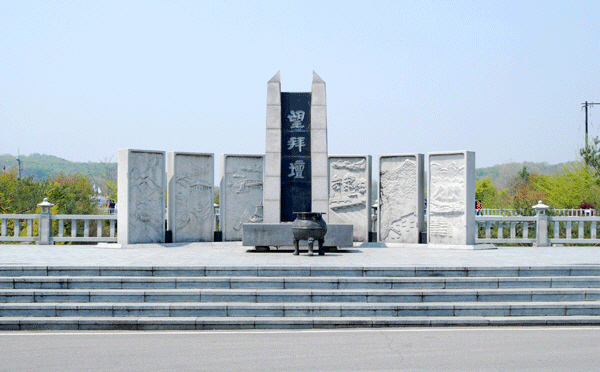 Imjingak is the most representative place that symbolizes Koreans’ desire to reunify two Koreas. It is a small theme park with rides at one side and barbed wire fences at the other side, making it a bizarre place. The park is a place to pray for the reunification of Korea. There are two historical things in the park site. One of them is a bridge called Freedom Bridge. It is an eighty three meter long wooden bridge used by 13,000 POWs who came down to South Korea seeking freedom. Another one is an original steam locomotive smokestack from the Korean War. The train was used by the South Army before being destroyed in 1950. It was deserted for 55 years with 1,020 bullet marks.